Watching a little kid's imagination spring to life is so satisfying. 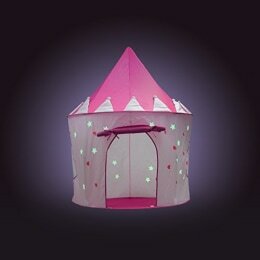 Whether they pretend to be pirates on ships or princesses in castles, playtime becomes infinitely more adorable when kids create their own little worlds. So, any toy that doubles as a make-believe prop is a win-win. That's why we couldn't help but get excited when we saw that one of the most popular toys for playing pretend is currently on sale. 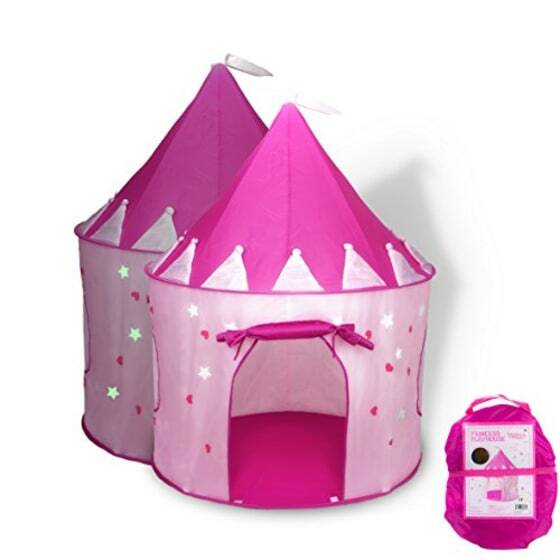 This Fox Print pop-up castle has more than 3,500 positive reviews on Amazon and was originally priced at $30. But today, it's discounted at 50% off. For little ones, the castle design transforms a playroom into a kingdom or the perfect hiding spot. 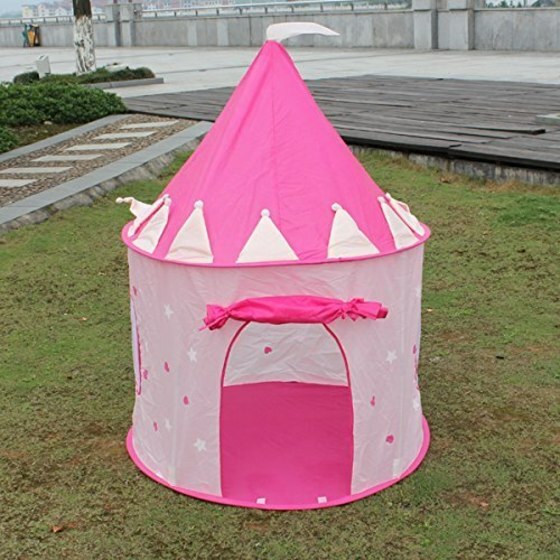 It can also offer space for quiet reading or a nap. Plus, the simple structure features stars that glow in the dark for extra fun after the sun goes down. Though it's pretty enough to serve as decoration in any kid's bedroom, it's also easy to put away when you need more room. 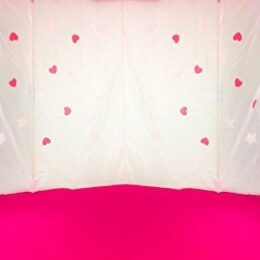 The entire tent folds down into a small carrying case to take along on trips or easily slip away in the closet. Creative and imaginative thinking begins at an early age, according to child development experts, and the best toys are the ones that enhance their imaginations. 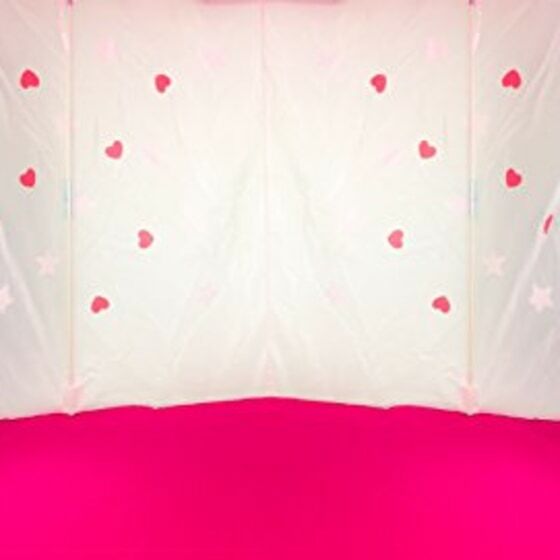 "Two-year-olds are entering pretend play and figuring out who they are," said Tovah Klein, director of the Barnard College Center for Toddler Development and author of "How Toddlers Thrive." 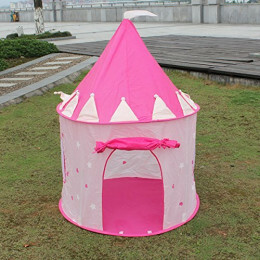 This tent could be the perfect gift for the little prince or princess in your own castle.